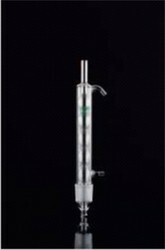 Reflux coil condenser with large cooling capacity and 10mm hose connections available in all joint sizes and effective length of 200mm, 300mm, 400mm, 500mm. 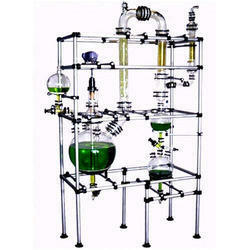 Condensers are offered to meet the wide usage of condensers in laboratories for distillation or reflux operations. Condensers should be chosen carefully with regard for distillation rates, reflux rates, and temperature gradients.